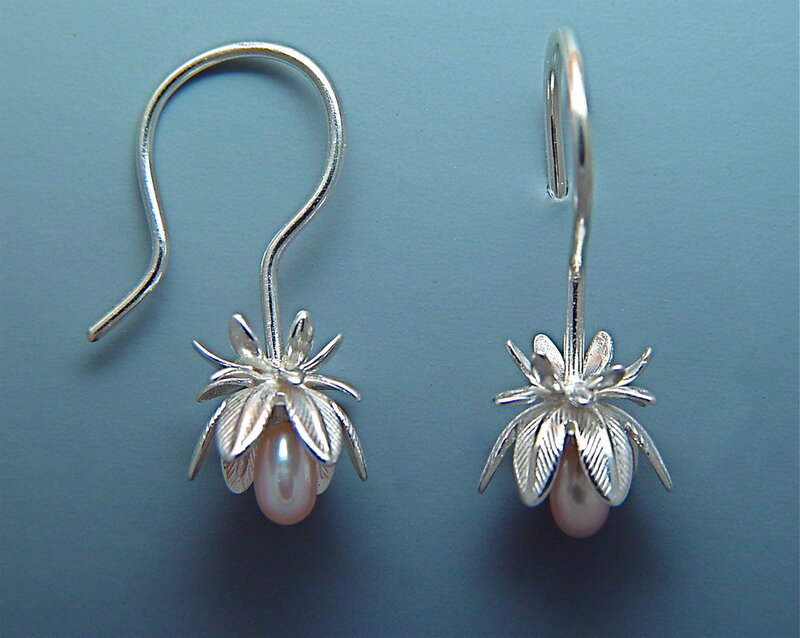 Ellen Vontillius is an artistic jeweler who combines romance with elegance to create delicate, lyrical jewelry. The creative process has always played an important role in her life. Along with a BA in Science, she also did undergraduate study in the Visual Arts and Dance. Ellen began working in metal in 1991. She draws a great deal of inspiration for her jewelry designs from classical dance movements. Ellen feels that dance is one of the most exquisite forms of human communication and expression, and has worked for over 30 years to learn how to use her body in this beautiful language. It has allowed her to appreciate and embrace that delicate quality of life that is female. She has grown to to love the graceful, fluid lines involved in a simple movement and tries to capture that elegant simplicity in her work as a metalsmith.